This past fall marked the beginning of the University of Florida’s Fredric G. Levin College of Law Certificate Program in Intellectual Property Law. Thomas Cotter, who heads UF’s Intellectual Property Studies Program, was a major catalyst in implementing this new curriculum. Since his 1994 arrival at UF, Cotter has been working to expand the College of Law’s intellectual property course offerings. As an authority on domestic and international intellectual property law, which deals with issues such as patents, trademarks, copyright and Internet commerce, Cotter recognizes the importance of establishing such a program. “As we approach a new century, the need is growing at a rapid pace for lawyers who can understand and adapt existing legal doctrines to new developments in the computer industry, biotechnology and in other cutting-edge disciplines. The growth of international trade also increases the demand for lawyers who are skilled in prosecuting and defending their clients’ intellectual property rights globally. We’re committed to training lawyers to meet these challenges,” says Cotter. Much of Cotter’s research in intellectual property law employs economic analysis to study, critique and predict the effect of changes in the rules relating to the field. He is co-authoring a series of articles dealing with the economics of intellectual property. These articles, three of which thus far have been published in scholarly law reviews, have focused on such topics as seller and user liability, procedural and remedial rules, and damages calculation. Cotter also recently published two papers addressing whether the federal and state government uses of intellectual property implicate the Fifth Amendment of the U.S. Constitution. 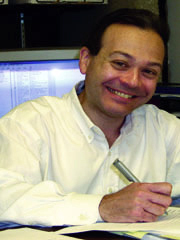 He is currently organizing a March 2001 symposium on intellectual property, development, and human rights, which will bring together scholars to present papers on topics such as the economic and moral implications of the worldwide extension of patent protection to pharmaceuticals, agricultural products, and indigenous technology. Cotter has also published an article addressing the relationship between intellectual property rights and the antitrust doctrine of ’essential facilities,’ and in 1999 was asked to guest-edit an issue of the Antitrust Bulletin devoted to the Microsoft litigation, titled “Perspectives on United States v. Microsoft Corp.” He was also invited to write the lead article in the 1999 issue of the Marquette Intellectual Property Law Review. He has taught courses on American intellectual property law at Warsaw University in Poland and on international intellectual property in connection with the College of Law’s summer abroad program in Montpellier, France. He has also organized and co-taught a course at UF aimed at teaching the fundamentals of patent law to engineering students. Cotter was awarded a Teaching Improvement Program award in 1998, and was voted 1997 Professor of the Year by students in the College of Law. He was also the 1996 recipient of the Ladas Memorial Award for writing excellence on the subject of trademarks and related matters.